In 2011, the University of California, Berkeley ITE student chapter (also known as Cal ITE) has planned to host many of its historically successful events while working to branch out to new audiences. While Cal ITE has elections on a semiannual basis, the officer team for the upcoming academic year consists of almost all new officers.. Our roster shows 72 active ITE student chapter members for the past year consisting of a blend of both graduate and undergraduate students. We hope to increase our membership base. The Department of Civil & Engineering, the Department of City & Regional Planning, the University of California Transportation Center, and the SF Bay ITE Professional Chapter have all be vital to our student chapter’s success, and we continue to collaborate with them to provide a truly engaging and inclusive transportation experience for our members. The ITE student chapter is planning to focus our events on internship opportunities, the bridge between engineering and planning, as well as international transportation. We have organized technical tours and office receptions to various places in the Bay Area, which allow our members to integrate their knowledge of transportation from academia with the real world. 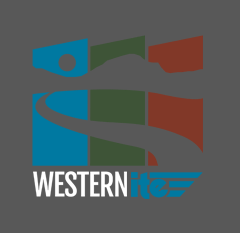 We keep our members updated on upcoming graduate transportation seminars, transportation conferences, and employment opportunities, and always do our best to sponsor a select group of our members to attend the ITE Western District Annual Meetings. Many of our members attended the 2011 Western District ITE Annual Meeting in Anchorage, Alaska as events like this are great ways to connect with other students and transportation professionals. Even though the University of California, Berkeley ITE student chapter’s goal is to enhance the overall transportation experience here at Berkeley, our chapter hopes to continue providing these amazing opportunities to our members.